Ideally located in the center of Périgueux, the hotel is close to Saint Front Cathedral, the historic medieval and Renaissance parts of the town and the Vesunna Gallo-Roman Museum. 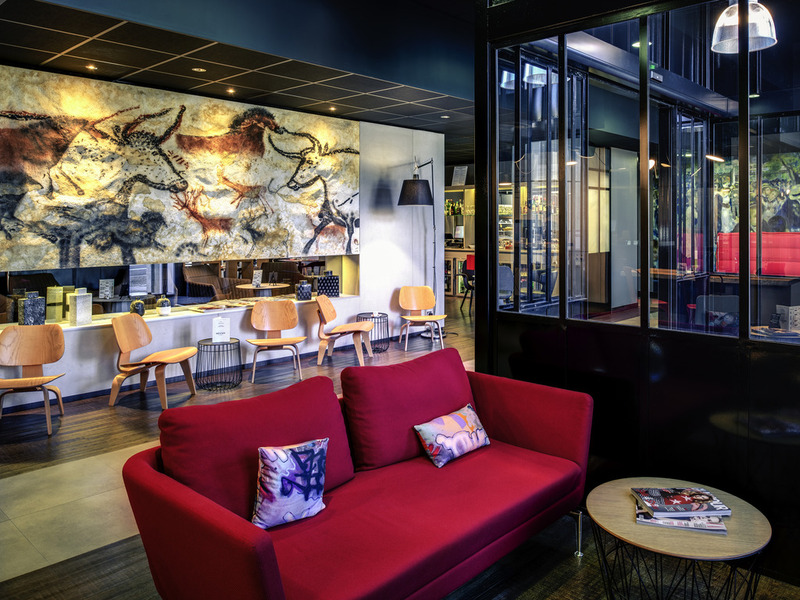 The hotel's décor is based around the theme of the Lascaux cave paintings - staying at the Mercure is just a first taste of this fascinating spectacle. All of our room categories boast air conditioning, tea and coffee making facilities, large flat-screen TV, safe, minibar, hair dryer and magnifying mirror. Explore some regional heritage. Visit the 'marché au gras' (foie gras market), the Eyzies and its 1001 castles. This Mercure hotel is centrally located, five minutes from theatres and entertainment. Perfect for combining a business trip with pleasure. Visit Périgueux and experience the regional gastronomy, with delicacies such as foie gras, truffles, caviar and duck confit, accompanied by a glass of Monbazillac or Pécharmant wine. 3박 하면서 뻬히괴 관광, 보르도 관광, 라스꼬 관광의 기점으로 삼았습니다. 호텔의 시설도 훌륭하고 직원들도 친절하였으며 특히 호텔의 로비와 객실 내부, 심지어 샤워공간에 까지 인류의 위대한 유산 라스꼬 동굴벽화 장식이 돋 보였습니다. 다만 첫날 역에서 호텔까지 걸어간 루즈벨트 거리는 다소 위험하게 느꼈습니다. 전화하면 역에서 픽업 해주면 좋을 것 같았습니다. 체크인부터 체크 아웃까지 친절한 서비스에 만족합니다. 많은 손님이 없는 시즌이어서 그랬는지 전반적으로 조용하고 편한 휴식이 되었어요. 조식도 깔끔하고 음식도 괜찮았어요.